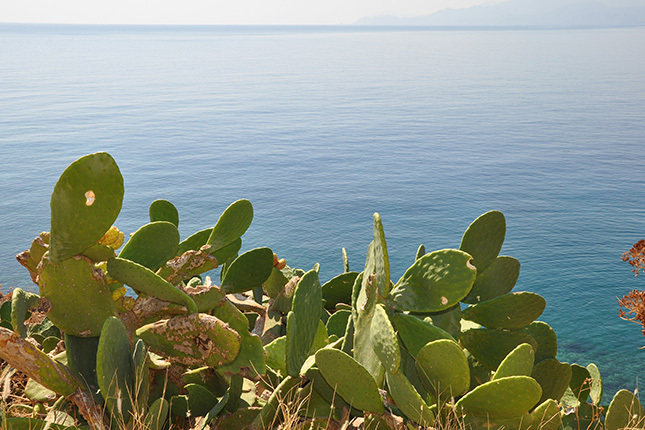 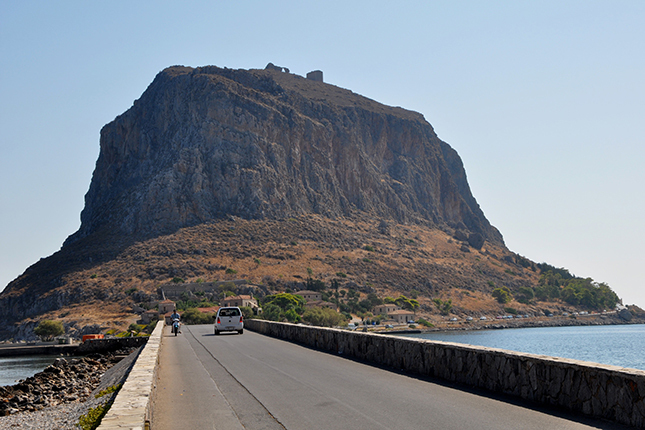 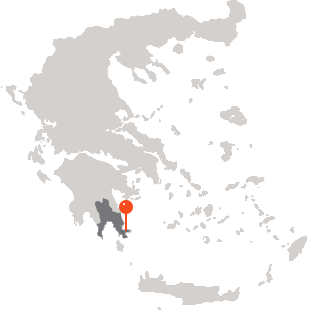 Monemvasia has been built literally on the slopes of a huge rock that stands into the sea. 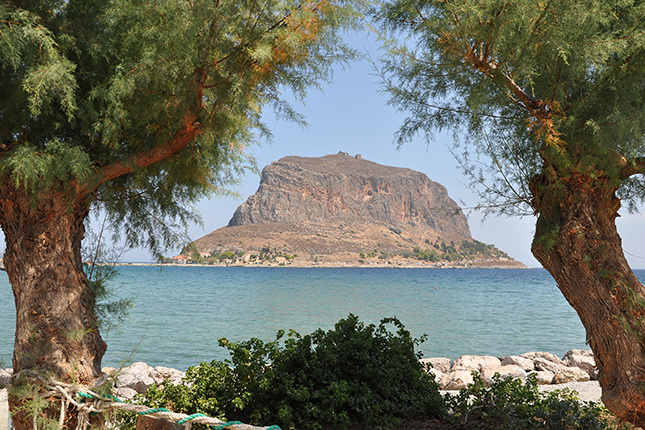 The Venetians used to call it the Gibraltar of the East. 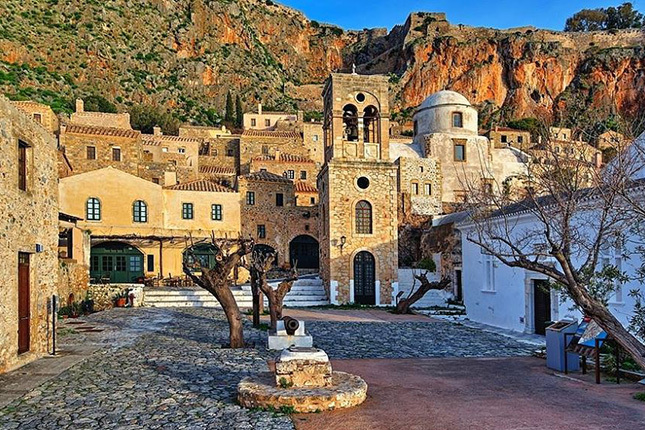 Monemvasia is located in the southeastern Peloponnese in the prefecture of Laconia, 400 meters from land having been separated from the mainland by an earthquake in 375 A.D. Its name derives from two Greek words, mone and emvassi, meaning "single entrance". 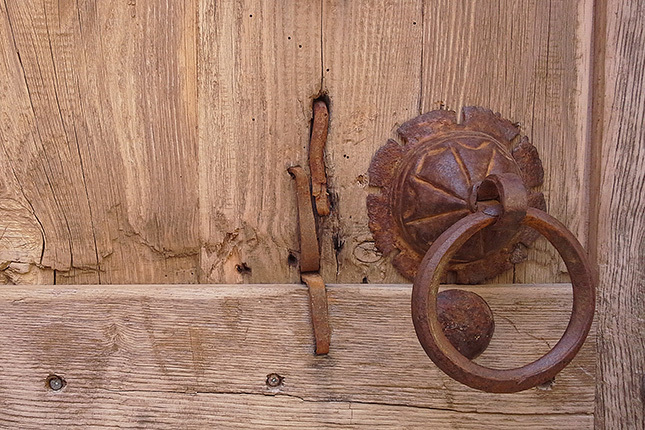 Only a few minutes' walk will lead you through a huge wooden gate, revealing the hidden gem within the medieval walls of the fortress. 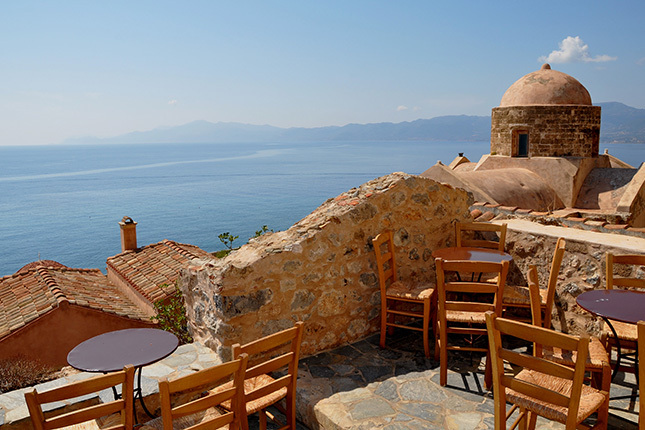 Castles, walls, old mansions, narrow cobbled lanes, churches, low arches and vaults, coats of arms, imperial marble thrones, Byzantine icons all give the impression of a town untouched by time. 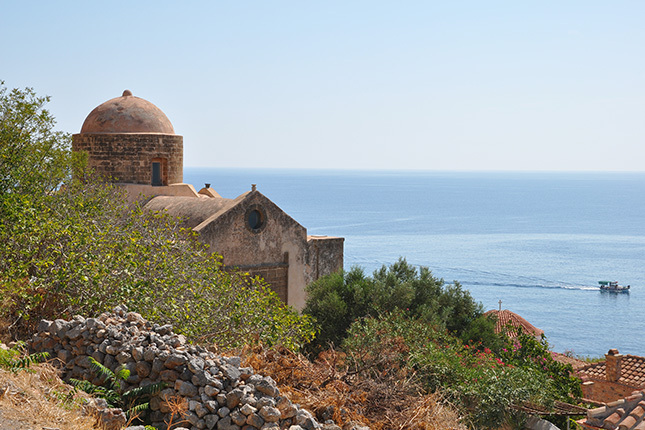 Monemvasia is a fantastic medieval town entirely carved on the slopes of a rock, offering breathtaking sea view from the highest spot. 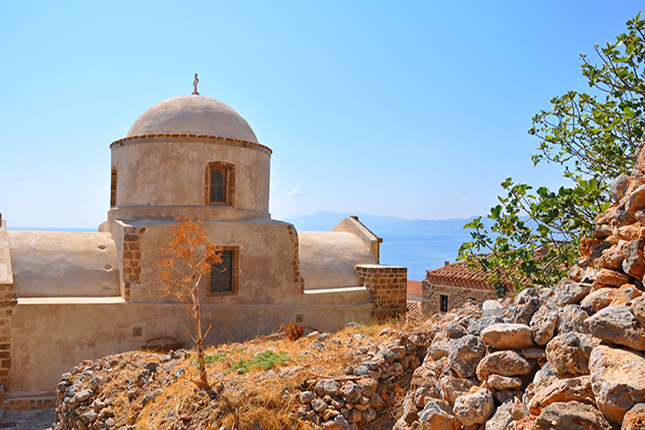 Challenge yourself by climbing high above; castle walls protect the upper town on the summit. 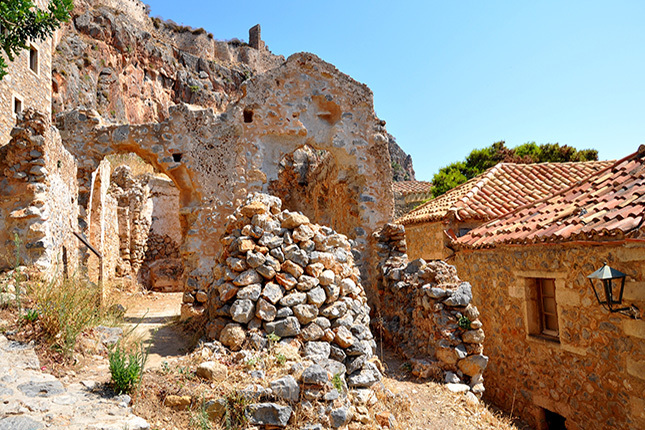 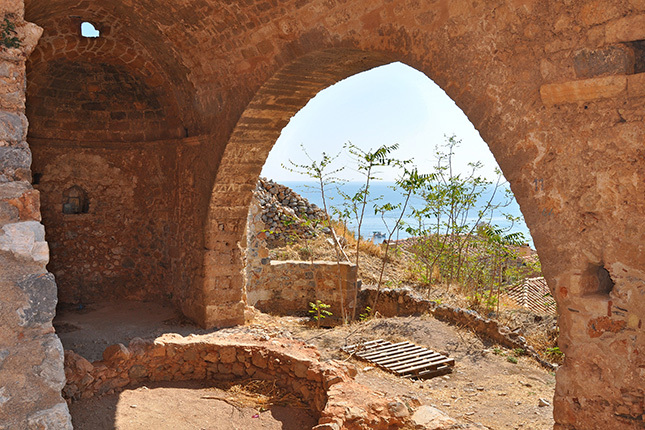 Among the ruins of houses and cisterns of the acropolis of the upper town stands Saint Sophia. 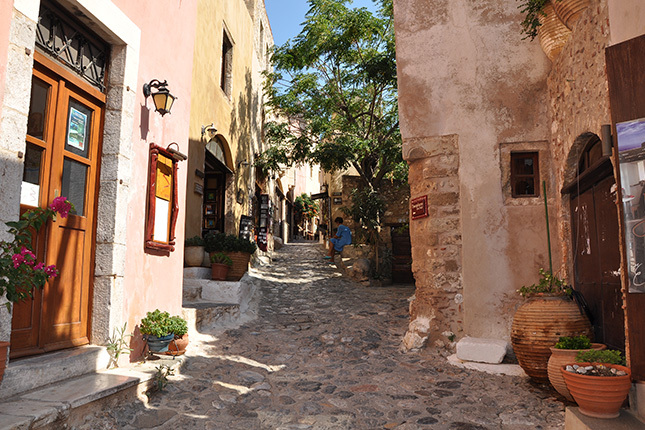 In the lower town, look for the bell tower that leads you to Elkomenos Square, with its namesake medieval Elkomenos Christos church and a small museum. 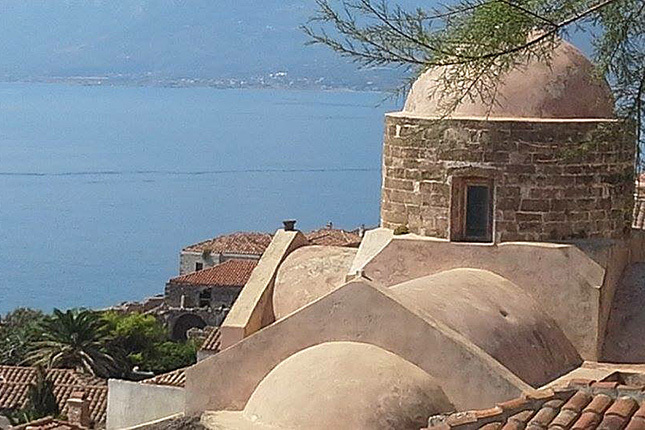 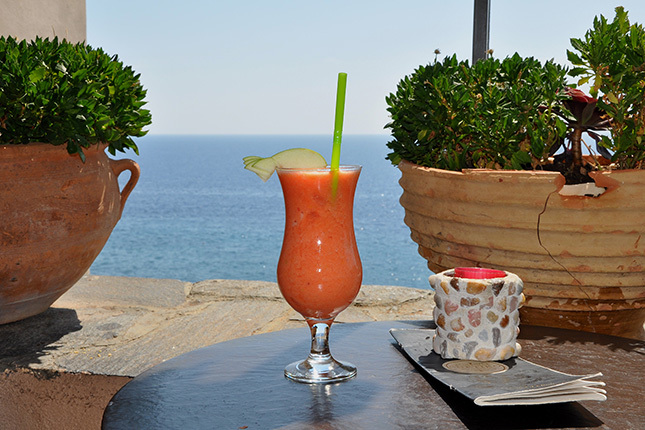 Many old mansions in Monemvasia Old Town are turned into boutique hotels, restaurants and shops today where you can enjoy a day of shopping and taste some of the fine local products. 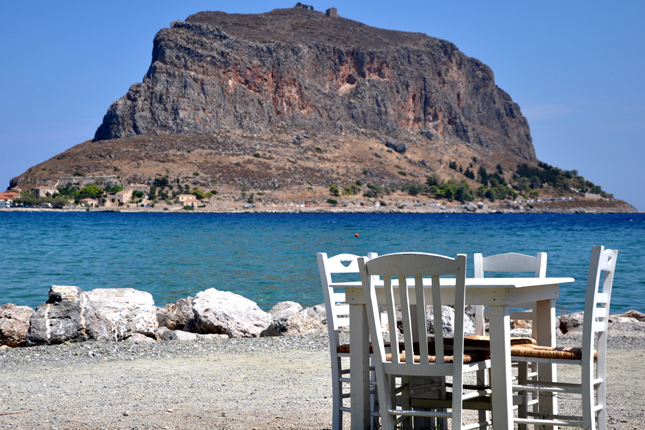 Some beaches are found in close distance for a relaxing swim.